Lifestyle home staging. Have you heard the term? If not, then it’s about time you do. It’s the new wave of our industry. It’s not enough to just make a home look pretty, to show off size and scale, now we need to know who our home buyer will likely be and specifically create rooms that appeal to them. 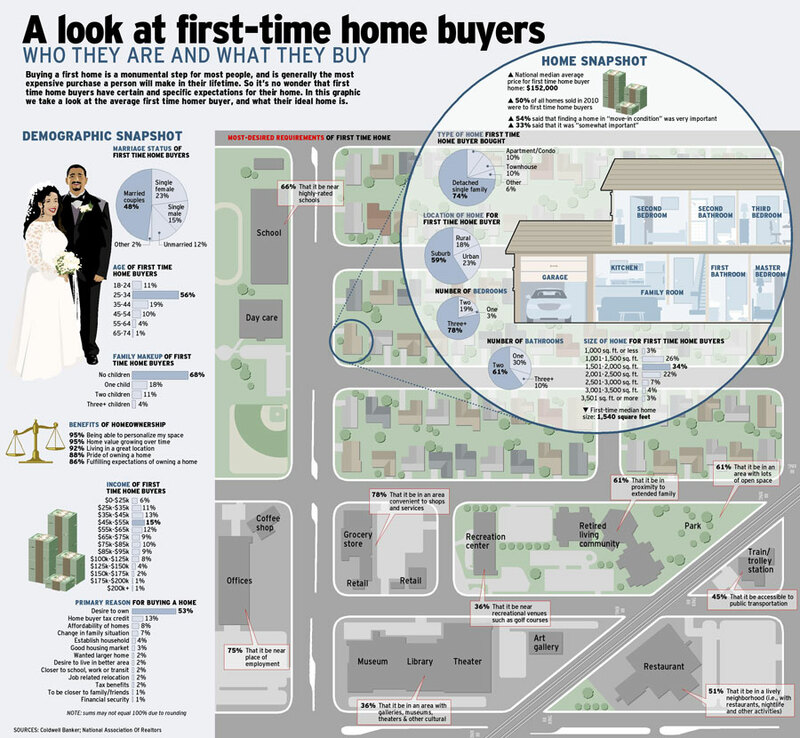 In this infographic by Coldwell Banker, we examine the habits of first time home buyers. Now, what information can you glean from this that will help you in your home staging business? « The future of social media. Trends to watch for 2012. People buy on emotion and feeling, this is a perfect example of how marketing for real estata is changing! Yes! It is a all changing and smart successful agents & stagers need to embrace this change today if they are going to be able to adapt. Love the statistics. This is so important to know for home sellers who want to target buyers appropriately. All you sellers with a home likely to attract first-time buyers — Good Realtors and stagers will understand these and market your house accordingly. Noticing the age range of the majority of first home buyers — it is critical in HOW a home should be prepared for sale — appealing carefully to this demographic’s dreams and aspirations . . .